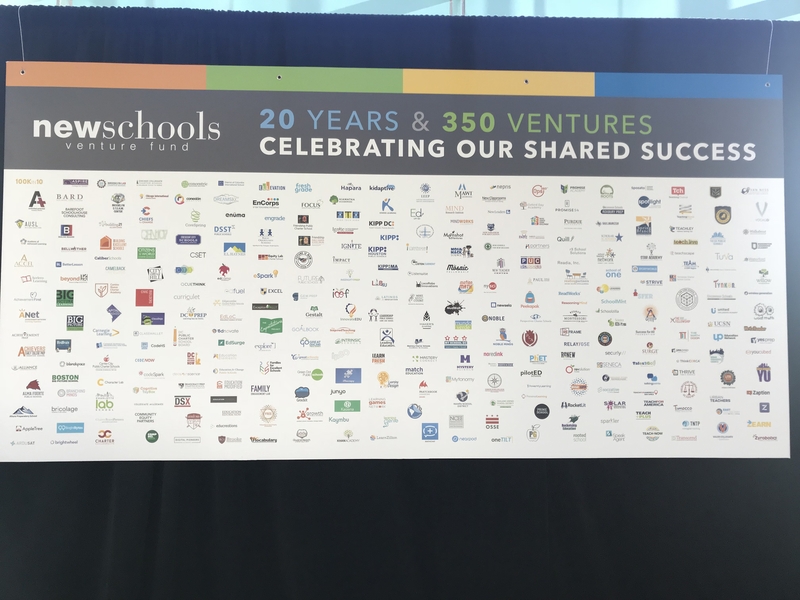 Our team was privileged to attend the NewSchools Summit 2018 in Burlingame, CA from May 8-9. NewSchools is an organization that funds entrepreneurs seeking to innovate and improve public education. The NewSchools Summit is an invite-only event that brings together leaders in education innovation. Attendees included educators, administrators, business leaders, and more. For the 20th anniversary of the event, many of the sessions were focused on the future of education, and the workforce, over the next 20 years. Posing questions around what the next 20 years could look like for education, how the use of technology in the classroom and workforce will continue to evolve, which metrics will remain relevant in the coming years, and what might social capital look like as we evolve into this new stage of education. Discussions at the Summit revolved around technology’s role in the classroom moving forward. As technology evolves, so will the quality and quantity of technology used in a child’s education. One important issue that came up is the digital divide that still exists in schools today. While there are many schools that have iPads in the classroom, there are also many schools that still don’t have wireless internet for their teachers to use. As important as it is to innovate with technology in the classroom, it is more important that all students are able to have access to basic technology. Virtual Reality (VR) is something that has also begun to make waves in the educational system. VR allows for totally new and amazing ways to teach. However, many VR vendors feel that most classrooms are not ready for the technology, and it will take a long time until we see VR as a staple in public education. Many people fear that automation and artificial intelligence (AI) will lead to a loss of jobs. However many experts in the field believe that the opposite will actually happen. Michael Chui of McKinsey Global Institute, and Dr. Vivienne Ming of Socos Labs both think that AI will lead to many news types of jobs being created. The current, and near future, state of AI will need lots of human support in order to develop and properly use the new technologies that arise. Dr. Vivienne Ming presents on Artifical Intelligence and how it applies to future workforce employment. Social and Emotional Learning (SEL) is becoming more prominent in schools. There were plenty of conversations about what educators can do in order to prioritize SEL, as well as academics. Moving forward, more resources will be invested into innovating new ways to to teach SEL. 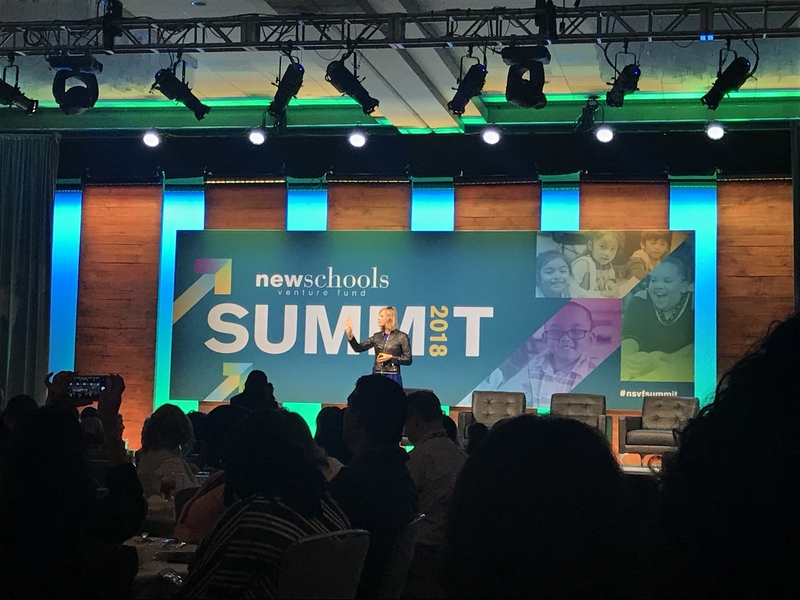 The NewSchools Summit 2018 taught us that by 2030, half of the jobs done will be jobs that don’t currently exist, and current elementary students will be entering the workforce. We have to continue to develop and enhance early learning in order to best prepare children for the future. What better way to enhance learning for your students than with Peekapak! Peekapak is an award-winning, social & emotional learning (SEL) program designed for the classroom and the home. Developed by education experts, Peekapak’s innovative curriculum combines teaching skills like gratitude, empathy and self-regulation with Common Core reading and writing standards. For more information, or to request a free demo, visit our website. Check out the Research Study we did with Elizabeth Public Schools in New Jersey. If you missed us at NewSchools Summit 2018 and want to set up a time to chat, click here. Ami Shah is a Co-Founder & CEO of Peekapak, an edtech startup that teaches social-emotional learning skills like self-regulation, empathy and team work in the class and home. Peekapak is backed by; Silicon Valley based accelerator, Imagine K12, the Edtech vertical of Y Combinator and; the Unreasonable Institute.